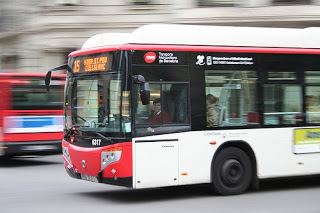 If you’re coming to Barcelona and are looking to get the most out of your trip, then the best way to make your way around the city is by public transport. And one of the easiest and cheapest ways to get you from A to B is by bus. 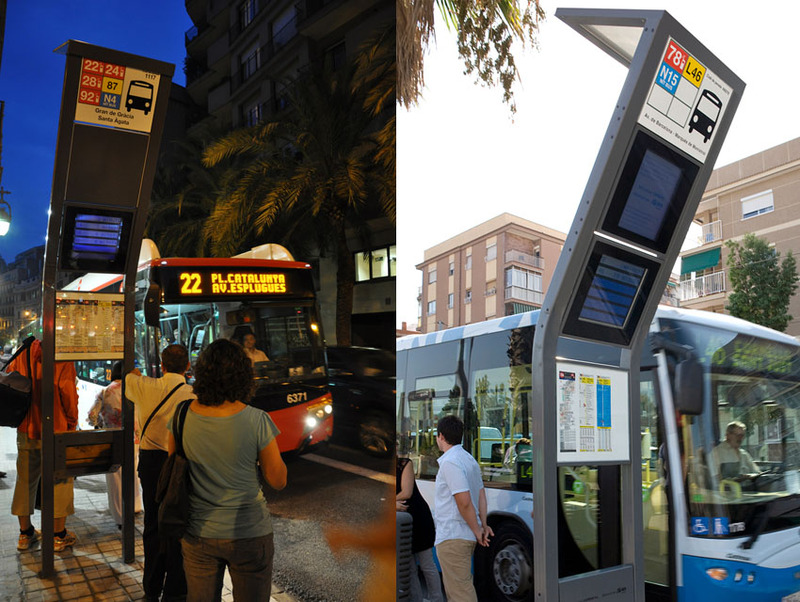 The Transports Metropolitans de Barcelona (TMB) offers a clean, efficient, expansive, and easy-to-use mode of transport, and what’s more, Barcelona’s buses give you direct access to more places than the metro. 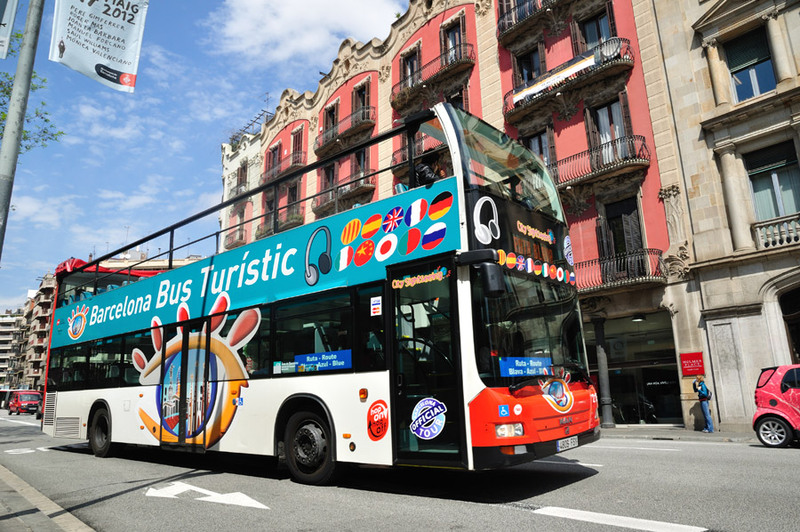 The TMB Bus system has a fleet of over 1,000 buses, with over 100 lines which cover an area of over 900km in and around Barcelona, allowing you to easily check off all the items on your Barcelona to-do list. So whether you’re going to Gaudí´s Park Güell, heading to the beautiful Sagrada Familia or even hitting one of the famous FC Barcelona football matches, the buses of Barcelona can take you there. Tickets can be bought at any of the many metro stations throughout the city as well as on the buses themselves. They are reasonably priced and can cover travel from a single trip to an unlimited month-long stay. Tip: If you are staying for longer than a day, you can save money by purchasing a T-10 ticket. This ticket allows you 10 trips for 9.80€ and is the most convenient and economical choice for a stay of a few days. Hola BCN tickets offer unlimited travel on any of TMB’s services for a duration between 2-5 days, depending on your travel plans. The easiest way to find the right bus is to visit the TMB website at www.tmb.cat. There you will find a variety of features to help you. “Going to”: This feature allows you to plan your trip in its entirety by simply entering your current location and the desired destination. You will then be told what bus(es) you should take, where they are, and the estimated time of travel. “Where am I”: A way to orient yourself and receive information on where the closest buses and metro stops are to your location. It will also tell you what time the next buses are leaving from those locations, and if there are any interruptions with the service. Mobile app: For many, travel plans are made on the go. TMB offers an app for Android smartphones and iPhones which makes planning your day trips and routes super easy and accessible. Download the TMB Virtual app to your smartphone or iPad to use all of the informative features on the TMB website while out and about. Additional features offered by the app include: an innovative virtual reality service which allows you to see the bus stops nearest to your location by pointing your phone’s camera in any direction. Cool, right? Tip: Many cafés and restaurants have free wifi. Take advantage of this to use the app while out in Barcelona! Aerobús: This bus will take you to or from the Barcelona El-Prat airport, located just outside the city. The bus runs frequently and has access to both Terminal 1 and 2. It’s certainly cheaper than a taxi. Price: Approx. 5.90€ 1-way, or 10.20€ for a return. NitBus: The NitBus is a service which runs all night long, between the hours of 10pm to 6am, depending on the line. 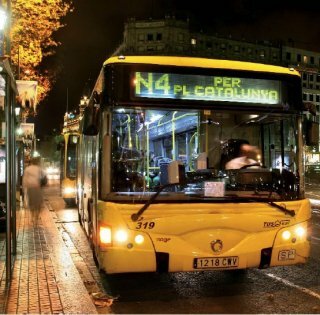 Most buses pass through Plaça Catalunya, which is helpful if you’re a bit lost after a long night out on the town. Bus Turístic: A very popular tourist activity in Barcelona, the ‘hop on hop off’ Bus Turístic is a sightseeing bus which has three lines, allowing broad access to the city’s top tourist spots. The blue and red routes leave from Plaça Catalunya, whilst the green route leaves from Port Olímpic. Bare in mind, the lines for these buses get very long so it would be wise to show up more than a few minutes early! Price: approx. 23.40€ for 1 adult. So fear not about getting around when visiting Barcelona. The bus services are safe, reliable and allow you to move easily around the city, ensuring you don’t miss a beat of your Barcelona trip! This entry was posted in Home, Tourist Guide, Transportation & Services and tagged areas in barcelona, barcelona bus, barcelona tourist guide, getting around in barcelona, public transportation barcelona, TMB Barelona, tourism in barcelona, transport in barcelona, travelling around barcelona, visiting barcelona. Bookmark the permalink.